Today’s stock chart of the day GoPro. 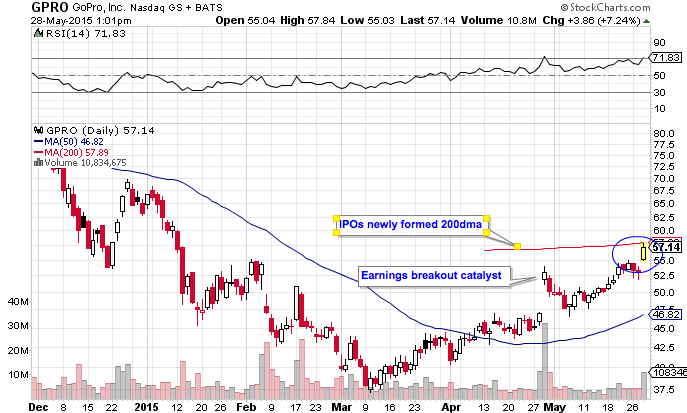 GPRO is a recent IPO that is riding an earnings catalyst after bottoming out in early March. It is now breaking out and stalling at the newly formed 200 day moving average resistance level. A break of this level could set the stock up for a run to it’s highs around $80. Market Speculator FAQ: What Indicators Do You Use?